Well it is Monday….again, which means another block to add to my paper piecing star quilt. This week I opened Carol Doak’s 50 Fabulous Paper Pieced Stars and decided to make the first star I came across (actually the first star in the book), the Alabama Star. I loved the boldness and simplicity of this star. I used scraps except for the dark inner star – I wanted that to be the same fabric for some reason! This really was an easy pattern using just 56 pieces. 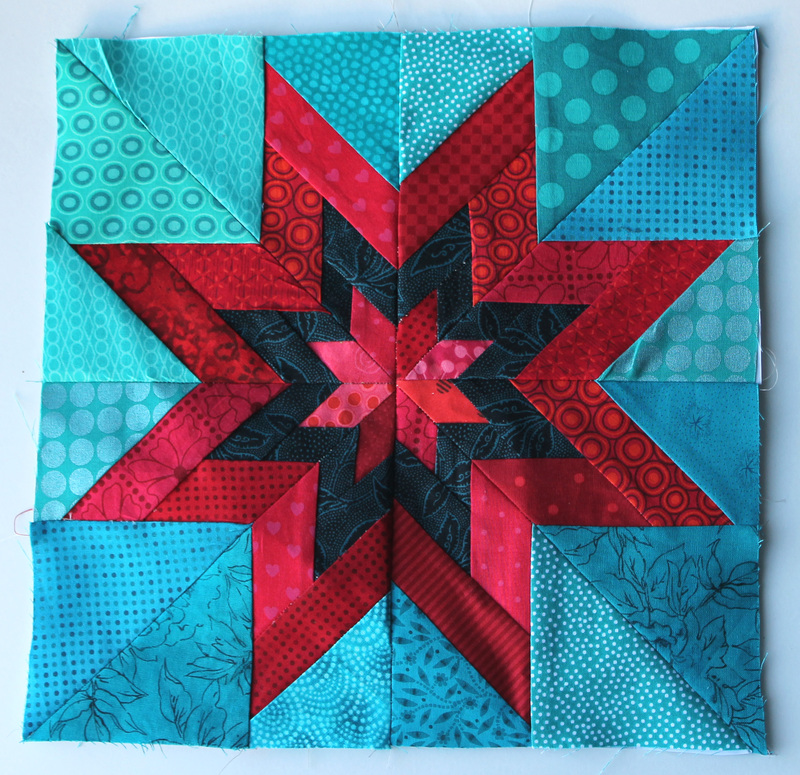 Now there are only 7 more blocks to go before I call it quits on the red/aqua quilt…. not that I am counting! oh, I just love red and turquoise together ~ this star is beautiful! Loving the Alabama quilt square! I also saw you were a Friday Favorite over at InColorOrder and I was so excited because I saw the grey and yellow square and immediately knew it was yours. Love your work. Thanks for the heads up about InColorOrder. I had not realised my block had made her weekly picks. I am tickled pink about it. Beautiful star, wow how many pieces!!!!! This is really stunning – love the colours you have used! I also saw your blocks on InColorOrder. They are beautiful! I’ve been very interested in paper piecing, so this is eye candy and initiative to get started!